Today’s article is a bit of an experiment. I have set myself a goal, and I’ll try to reach that goal and document it. The goal: getting rid of plugins in the s_code.js file. Plugins in the s_code.js file make it more difficult to move to DTM. If my s_code.js had no plugins and no doPlugins method, it would be much simpler to remove it from my page code and load it via DTM. Plugins are written, provided and maintained by Consulting. That means some of them are not free. Using DTM to provide the same data or logic would therefore save money. Using DTM functionality should make the setup more robust against changes. I haven’t done this before. It will come as no surprise to readers of this blog that the last reason is enough to make me try this. Plus the fact that it would spawn this article and a couple more. 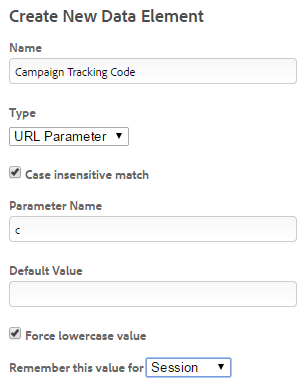 getQueryParam — for grabbing external and internal campaign tracking codes. getValOnce — to de-dupe campaign tracking. apl — to add a custom Page View event to my setup and a couple other events. getTimeParting — to analyze traffic based on days and time of day. getDaysSinceLastVisit — to analyse how often (the few) repeat visitors come to my site. getPercentPageViewed — to check whether people scroll down my articles or not. getPreviousValue — for grabbing the name of the previous page (good with getPercentPageViewed). getVisitNum — again to analyse behaviour of returning visitors. plus some self-made code that does all sorts of things. Some of those are easy to replace (think getQueryParam), others not so much. Right, with that out of the way, let’s remove some easy plugins! Now this is so easy to do it almost feels wrong to give it a headline. 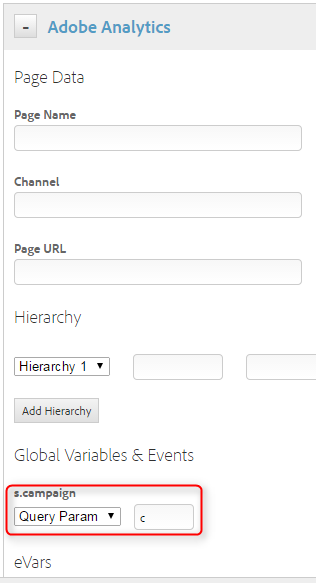 DTM can be configured to read URL parameters in multiple places: the configuration of the Adobe Analytics tool in the Page Load Rule is one of those, a Data Element would be another. I use the apl plugin to add a custom Page View event to all of my pages. This is one of those best-practice things we all do when implementing Adobe Analytics (others are adding a custom Product View event and passing the page name into an eVar). This is also very easy to do: just set the event in the Page Load Rule for Adobe Analytics, and you’re done. The c_r function is not technically a plugin. It is a function that reads a value from a cookie, that’s all. Based on whether you are using the Cookie Combining Utility, it will actually read from the cookie that you name or from the combined cookie. So this one can only be replaced by a Data Element of type “Cookie” if you do not use the Cookie Combining Utility. I do, unfortunately. But if you don’t, then this is the most easy replacement ever. There are quite a few other plugins, which I may discuss in a follow-up at some point. I’m also thinking about plugins like Channel Manager, Cross-visit Participation (cvp) or maybe even the Cookie-combining Utility, which reduces the number of cookies used by the plugins, but makes moving to a plugin-less s_code.js file pretty tough. I will in a future article look into the Conditions in DTM, see if they help me further. Also, what’s left over can be moved into DTM, as is, if you want. If you use a mixing between UI+Custom Code, will realize that the second one overwrite s.linktrackevents, so unfortunatelly still have to use s.apl for fill s.events and s.linktrackevents arrays. The second thing, thanks to DTM I discovered a new use for plugins, even those that we can call ‘deprecated’ because Adobe included on Analytics by default. This new use consist to pass their values on Data Layer (therefore then on Data Element) for interact over the user in real time, I’m currently using getDaysSinceLastVisit and it’s so interesting. You’re right about apl and link tracking. My use case was only for replacing it for the custom Page Views event. In the s_code.js file, I only use apl for that reason. But for link tracking, it is definitely useful! I like your idea with the plugins and the data layer! You are essentially making data available to more tools that way, and that can only be a good thing! How would you implement Adobe’s old Form Analysis Plugin functionality – using DTM? Am particularly interested in how you would handle field validation AND form abandonment to know which field abandonment occurred on. Thanks! Thanks for sharing this post. Do you have any other reference guide to setup the plug in getPreviousValue and getPercentPageViewed please? I still wonder if I need to configure s_code.js or if I can do it with Data Element or even with the load page rule. I am a newbie here in DTM.